Volcanoes, volcanic areas and phenomena have always fascinated German volcanologist Dr. Tom Pfeiffer (1970) who conducted his PhD research in volcanology about the Minoan eruption of Santorini in Greece and the Plinian eruption of Vesuvius in 79 A.D. in Italy. After living in Germany, Italy, Denmark, Hawaii and finishing his university degrees, he decided to move to Greece and work as freelance photographer, specializing in his favorite subject, volcanoes. 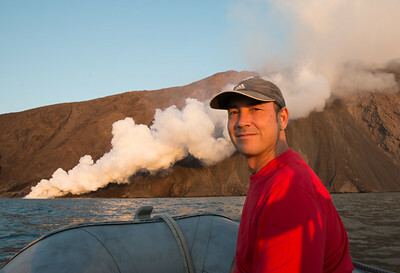 Tom's passion and skills in photographing volcanoes, a quite unique subject with particular requirements, have been growing ever since he first climbed Stromboli volcano while still a student. With time, helped by perseverance, patience and the opportunity to travel very frequently to erupting volcanoes all over the world, Tom has become a now very well- and internationally-known volcano photographer, whose works have been used in countless publications and projects. His new book "Volcano Discoveries" published in 2015 ranks among the best volcano photo books published. In 2004, Tom founded the well-known company VolcanoDiscovery that organized study & walking trips and expeditions to volcanic areas, such as Greece, Italy, Hawai'i, Indonesia, the Rift Valley to mention just a few destinations. When not on expedition, Tom lives mostly in the Greek capital Athens. He speaks English, Danish, Italian, French, German and Greek. On this website, only selected images ready for small and large print are shown. 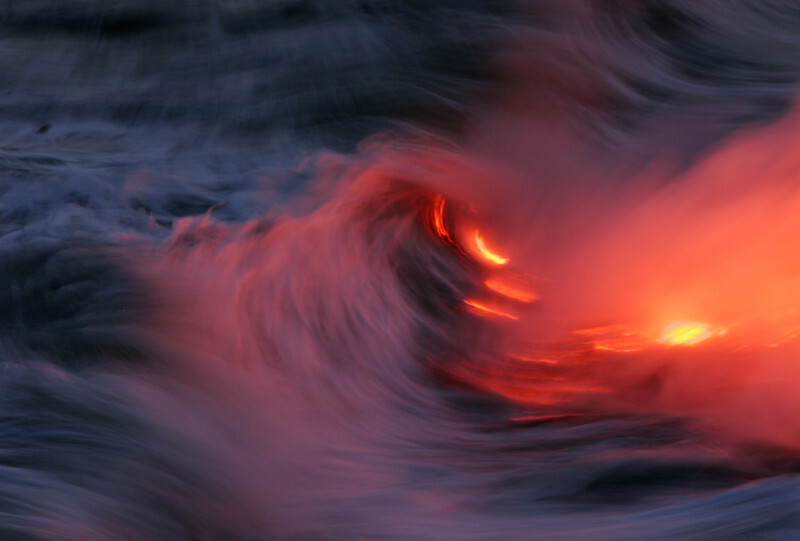 You can find many more photos on the VolcanoDiscovery website. 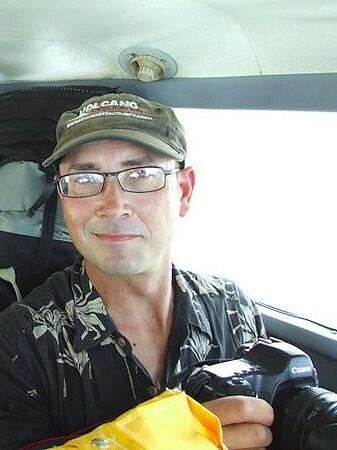 Tom also guides volcano expeditions with special attention to photography: have a look at the website VolcanoAdventures.